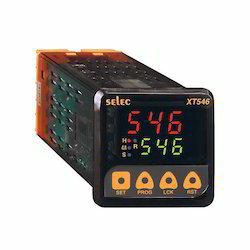 Manufacturer of a wide range of products which include dual display digital timer, programmable digital timer, 3 digit preset timer, dual display multi function timer, sequential digital timer and panel mounted digital timer. We commenced our business journey by offering Dual Display Digital Timer. Our range works on precise voltage and has fine LED that provide accurate status indicator like hours, minutes and various others. The offered timer is manufactured under the strict supervision of our dexterous professionals using quality approved components with the aid of progressive techniques. This timer is commonly used to measure elapsed time. 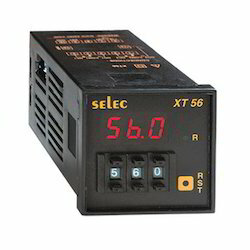 In addition, our valued clients can purchase this timer at cost effective prices. Under the exemplary leadership and guidance of our expert professionals, we have been able to emerge as a trusted name of Programmable Digital Timer. These times are used to measure time intervals. To manufacture these timers, we use optimum quality materials and components at our sound production unit. Clients can obtain these timers from us in different sizes and specifications as per their requirements. 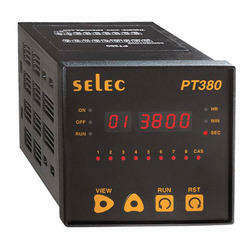 We offer these Programmable Digital Timers at cost effective prices. Backed with rich experience and knowledge, we are considered to be one of the most professional supplier of excellent quality 3 Digit Preset Timer. These timers are fabricated by using finest grade raw materials by our professionals and are known for high performance, low maintenance and dimensional accuracy. Owing above mentioned features, our offered range of timers finds application in various sectors. Clients can avail from us these timers at very reasonable prices. With our years of experience and knowledge, we are engaged in offering a wide range of Dual Display Multi function Timer. We offer this multi function timer in specifications in order to suit the ever-evolving needs of our prestigious customers. Also, our offered multi function timer is thoroughly tested by our experts on well-defined parameters, in order to deliver a flawless range at our customers end. Besides, one can get this multi function timer in varied sizes that have fine LED with dual display. We are into trading of Sequential Digital Timer. The offered products are inbuilt with various functions like 8 channels, start, hold input, reset input, start delay programmable, on delay / interval / cyclic modes, parallel / sequential operation and others that enhance the performance of this range. Furthermore, our products require less maintenance and consume low power. We offer a wide range of Panel Mounted Digital Timer, which is reckoned among st the clients for its durability and reliability. This range is highly demanded by the clients for its precision and accuracy. Easy to use this range is reckoned among st the clients for its precise engineering and high-quality LED. Small in size this range is made available in the market at the most cost-effective prices.